Partly cloudy skies this evening will become overcast overnight. Low 48F. Winds SSE at 10 to 20 mph.. Partly cloudy skies this evening will become overcast overnight. Low 48F. Winds SSE at 10 to 20 mph. 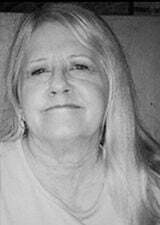 RACINE – Lisa Ann Hess, 62, passed away at home on Sunday, January 6, 2019. Lisa was born in Racine on February 24, 1956 to Richard and Marilyn (nee, Aul) Balke. She married Michael R. Hess, celebrating 34 years of marriage. Lisa worked for Surgitech and last working for AirLogic. She loved spending time with her family, grandchildren and her dog and being outside. Survivors include her husband, Michael Hess; children, Becki Hess, Shawn Londre and Brad Londre; ten grandchildren, her father, Richard Balke; and sisters, Shelley (Rodney) Johnson and Claudia Kirby. Lisa is also survived by other relatives and friends. She was preceded in death by her mother. A memorial gathering for Lisa will be held at the funeral home on Saturday, January 19, 2019 from 1:00 p.m. until 3:00 p.m. In lieu of flowers, memorials may be directed to the family.